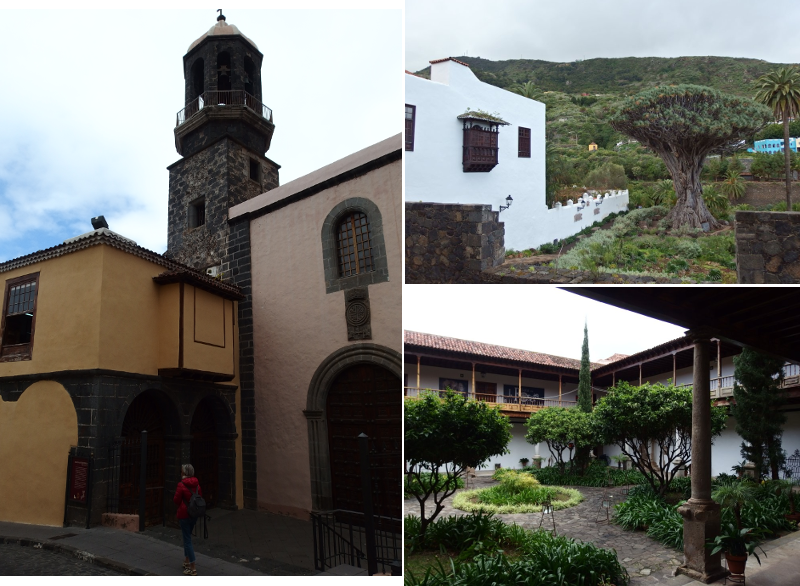 I've been out for a short holiday in the Canary Islands (Tenerife) and it has been very different from our usual holidays because it was booked at a travel agent's. It has been also our first trip to the islands!. We spent most of the time swimming or lying on beach beds, reading some books, but we also took some excursions to see the island (we just couldn't lie still). We've enjoyed it, it has been pretty relaxed, but I still prefer to organise my own holiday trips. The weather, the natural landscapes, the people and the atmosphere were awesome, so I think we will probably go back! Now I'm back to snow and sleet and business as usual, so I'll try to catch up with all your blogs as soon as possible! He estado fuera de vacaciones en las Canarias (Tenerife) una semanita, y ha sido muy diferente del estilo de vacaciones que hago normalmente, porque esta vez contratamos por agencia. También ha sido nuestro primer viaje a las islas!. Nos hemos pasado la mayor parte del tiempo nadando o tirados en las hamacas leyendo novelas, pero también hemos salido de excursión para ver la isla (no nos podemos quedar quietos!). Ha sido estupendo y muy relajante, aunque sigo prefiriendo organizar las vacaciones a mi manera. El tiempo, los paisajes naturales, la gente, todo ha sido estupendo, así que supongo que volveremos! Ahora ya estoy de vuelta a la nieve y el frío, e intentaré ponerme al día con los blogs tan pronto como pueda! This dress is becoming a favorite of mine very quickly, I've even worn it to go to work after holidays, as it made me feel still in a summery mood. Here I wore it with a pair of maryjanes, which actually don't match, but I was really comfortable to go for a walk!. This pink shawl was bought at a retail shop, and was very useful when visiting the National Park, as it was chilly! Este vestido se está convirtiendo en uno de mis favoritos muy rápidamente, incluso me lo he puesto el día de vuelta al trabajo, me hace sentir todavía en modo veraniego!. Aquí me lo puse con estas merceditas, que no van muy bien, pero que me iban muy cómodas para caminar. El chal rosa lo compré en una tiendita local, y me vino de perlas para la visita al Teide, que allí hace fresco! You're looking as lovely and colourful as always! The Islands look wonderful - it's so lovely to see some sunshine! No wonder it's chilly, that is a doozy of a storm coming up behind you! How far away are the islands that there is such a drastic weather change from home? It's like you reach out and touch the sun and feel it's still there and reassure yourself it will return. Ahh, modern life! mwhaha, that storm cloud was permanently over nearby mountains but didn't affect us, the coast was sunny all the time!. Canary Islands are the most southern region of Spain, they're in the Atlantic Ocean, far away from the continent. Subtropical! Wonderful colours! Especially with the impeding storm clouds behind you. I've been to Fuerteventura and Lazarote but never Tenerife. The sky looks very ominous but the landscape is spectacular. I bet it felt very strange booking a holiday in a travel agents - it seems so antiquated these days! Oh, that sounds like a wonderful holiday! The pictures are just beautiful and I love that tropical dress you have on! I've never booked a holiday through a travel agent; I usually do all the planning and bookings myself too, which is often one of my favourite parts of the trip! The islands look lovely, and sunny.